There is now a range of exclusively designed and affordable T-shirts incorporating the Sail Aid UK logo and available in men's and women's sizes for £25 incl. P+P each and children's sizes at £20 incl. P+P, available to purchase online through the Sail Aid UK website. "In January 2005 I went to Sri Lanka and lived there for two years on and off in the aftermath of the Tsunami. I saw first-hand what the devastation of a natural disaster can do to an entire population and the unspeakable things that can happen in its wake." Now based in Palma, Mallorca, Helena decided to raise the funds to print bespoke Sail Aid UK T-shirts organising the design and production costs through sponsorship from superyacht captains and related companies, with the aim of raising £50-70k in sales. She approached a small number of people who are emotionally invested in fundraising for Sail Aid UK, having worked on yachts and within the industry most of their lives and many of whom have lived in the Caribbean at some stage. Sail Aid UK Online Auction goes LIVE! Contributions can also be made to the 'Action Stations Fund' through the Sail Aid UK website: bit.ly/DonateToSailAidUK and, with your approval, the team will share your Supporters photo messages with the slogan I'm in! #sailaiduk if you email your image to: hello@sailaiduk.com. The six Trustees of Sail Aid UK have agreed that initially funds will be targeted at, but not limited to, regeneration projects being funded through ABSAR (Antigua and Barbuda Search and Rescue), VISAR (Virgin Islands Search and Rescue) and the Anguillan Red Cross. Sail Aid UK wants to assist in the rebuilding of clinics, schools etc - where insurance (with average insured penetration in the area at less than 10% and that includes the top end hotels) and governmental funds aren't reaching. The Sail Aid UK team is in contact with Aid co-ordinators on the ground in the affected areas, including at the Sint. Maartin Yacht Club given the appalling devastation suffered across the Island, to ensure that the money will be used for the most appropriate projects once the more immediate requirement for humanitarian aid support has reduced. Anyone wishing to get involved in the Sail Aid UK campaign, whether to donate prizes, donate funds, make enquiries about table bookings for the Dinner etc, in the first instance please email: hello@sailaiduk.com. 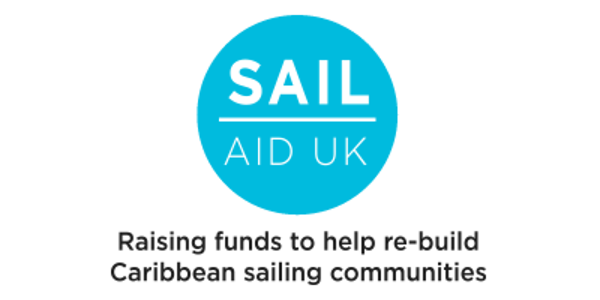 Sail Aid UK (SAUK) was set up on 8th September 2017 to provide a conduit through which the UK sailing community can unite in support of the relief efforts in the Caribbean Islands most needing help to rebuild lives and communities. The Founding Trustees (Charity status pending) are Elizabeth Lotz, Simon Boulding, Peta Stuart-Hunt, Katie Walker Philippe Falle and Tara Smyth. Please help us raise awareness and funds for Sail Aid UK.